The University of Western Australia has a long and proud history of creating a workplace and learning environment that prizes inclusion, diversity and fairness. 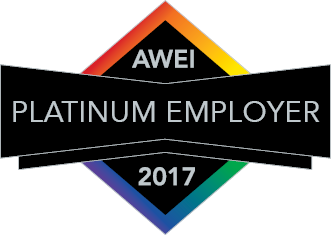 At UWA we believe that people work and learn best in a setting marked by mutual respect and where the worth of the individual is valued. We aim to foster an environment that welcomes, accepts and embraces the diversity of our staff and students. We know that creating a diverse and inclusive campus is the ideal way to foster the best outcomes for our staff, students and the communities we serve. This means applying flexible and creative strategies that engage staff and students in realising the University’s vision for inclusion and diversity. Moving forward, our challenge is to build on the strong foundations laid over many years so we can optimise the University’s response to the challenges and opportunities of an increasingly globalised higher education sector. Many of these challenges will be unforeseen and complex, and their solutions will require us to be audacious and innovative. Our agenda is guided by the UWA 2020 Vision Strategic Plan: 2014-2020. Maximising the quality of the staff requires drawing on the largest pool of talent. This requires an active approach to encouraging and fostering diversity in all its aspects, so positions at UWA have the widest possible appeal, and the University can attract and retain staff of the highest quality. To attract the students of the highest potential requires UWA to broaden its recruitment of students to tap into markets beyond WA and, in admitting greater diversity to the University, provide an outstanding student experience that is broad, inclusive, supportive and values diversity. Much of the work will be overseen by the Vice-Chancellor’s Inclusion and Diversity Committee and assisted by its working groups devoted to cultural and linguistic diversity, disability access and inclusion, gender equality, and LGBTIQ+ inclusion. Also playing key roles will be the Office of Strategy, Planning and Performance and Human Resources. The Student Guild will continue to represent the interests of students. The University is committed to dismantling structural, attitudinal, and environmental barriers that limit the opportunity for staff or students with an impairment or health condition to contribute and fully realise their potential. The University is committed to providing leadership and vision in the areas of diverse sexualities and genders, and actively supports staff and students who identify as lesbian, gay, bisexual, transgender, intersex, queer, asexual/agender or other diverse sexual orientations and/or identities (LGBTIQA+). Gender equity refers to the University's commitment to ensuring that women and men have the maximum opportunity to achieve their potential at UWA. UWA is committed to producing graduates that, in line with our educational principles, are intellectually and emotionally comfortable with difference and culturally competent. Equity and Diversity advocates for and creates policies and procedures that encourage a positive and fair environment for all staff and students at the University. We offer workshops and staff development using internationally recognised programs and resources that can be incoporated into workplace practice, teaching programs or interaction with students and and the wider community. The University of Western Australia acknowledges that it is situated on Noongar Land, and that the Noongar people remain the spiritual and cultural custodians of their land.